Poole Alcock property lawyers in Cheshire will make the conveyancing process happen for you, swiftly, efficiently and proactively. Buying or selling property is an exciting, but often stressful time. Our team of experienced conveyancing solicitors, based in offices throughout Cheshire will help you through this. We will explain each step of the way to you so that you can be confident that your move is being handled efficiently and carefully. We are as committed to getting you moved as you are, so our service is centred around being as proactive as possible to drive your move forward to a speedy, hassle-free completion. We have eight conveyancing teams based across our offices, each headed up by an experienced and qualified lawyer. Regardless of who works on your matter, they will be supervised by Cherry Riddlesdin, Partner and Head of Residential Conveyancing. Conveyancing is the process of transferring interests in property from one person to another – this includes sales, purchases, transfers of equity, and remortgages. When you instruct us you will have your own dedicated and qualified property solicitor to manage your transaction from offer through to completion. Our lawyers are supported by experienced teams, who work together to ensure you receive a quality service. What happens when a house is sold or bought? Once you have agreed on a price with your seller or buyer, the estate agent will ask you to confirm which conveyancing solicitor will be acting for you. If you instruct one of Poole Alcock’s experienced conveyancing solicitors in Cheshire, we will immediately start gathering all the information we need to complete your move. The more information we can gather at the beginning, the smoother and quicker your move will be. The solicitor acting for the seller prepares a ‘contract pack’ which will include the contract for sale and all the documents which should prove that the seller owns the property, and reveal any issues which affect the property (such as rights of way, restrictions on use etc). The buyer’s solicitor will review all these documents to make sure that the property is as the buyer is expecting it to be. They will also carry out ‘searches’ with agencies such as the local authority, the water authority, environmental companies and the mining authority. If there is anything revealed by these property searches which could affect the value of the property, or the buyer’s use of it, the buyer’s solicitor will notify the buyer and suggest any possible solutions. Your conveyancing solicitor will also ask the seller’s solicitor questions to clarify any potential issues and to make sure that completion is able to go through smoothly. The buyer will then receive a report from their solicitor, called a ‘Report on Title’, which will explain everything that they need to know about the property. In the meantime, the buyer will be making sure that funds are in place and, if necessary, obtaining a mortgage offer. If there is a mortgage, the buyer’s solicitor will also need to deal with any conditions set by the lender, and confirm to the lender that the property is legally sound. Once all funds are in place, any issues dealt with, and the buyer has confirmed to their solicitor that they are happy with everything in the Report on Title, both solicitors will exchange contracts. This is the point at which the sale and purchase are legally binding and when the completion date is set. The completion date is the date when the buyer can collect the keys and move into the property. After completion, the seller’s solicitor will pay off any mortgage and ensure that the proceeds of the sale are forwarded to the seller. The buyer’s solicitor will register the purchase at the Land Registry. Can I have a fixed conveyancing fee quotation? Call us on 0800 389 7093, or click ‘Conveyancing Quote’, and we will be able to give you a fixed price quotation for your move. Also ask us about our Premium Package – a premier service tailored to your needs which includes a ‘No Move No Fee’ guarantee for your peace of mind, and a FastStart upgrade so that we can get your move started straight away – before the Estate Agent has even had time to print out their Memorandum of Sale! Further information, is also available from www.gov.uk/buy-sell-your-home. Buying or selling a property is one of the biggest financial commitments you are likely to make. 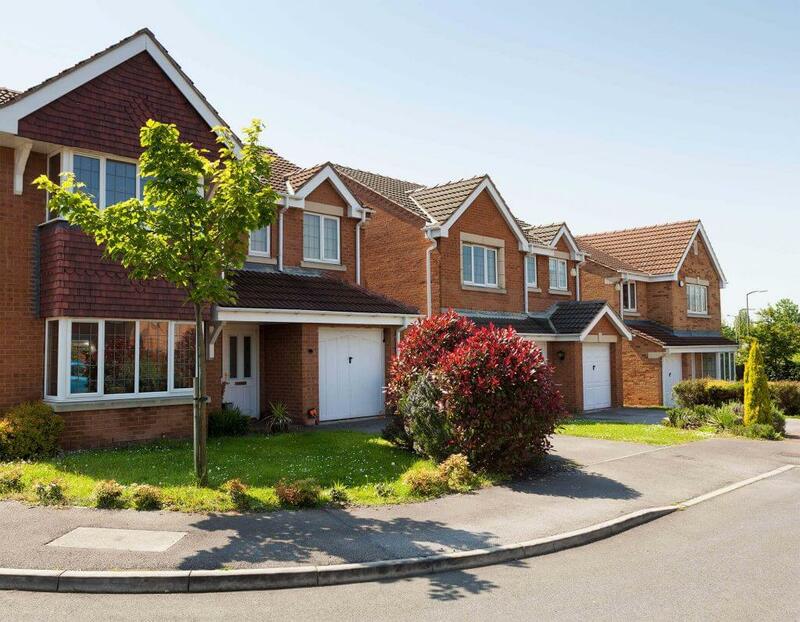 Delays in the conveyancing process can also make it one of the most stressful, but Poole Alcock property lawyers in Cheshire will make the conveyancing process happen for you, swiftly, efficiently and proactively. That means providing a quality service, resolving issues as quickly as possible and saving time whenever possible. You will have your own dedicated and qualified property solicitor to manage your transaction from offer through to completion. The Poole Alcock conveyancing service is designed to make buying a house as stress-free as possible. Our property lawyers will explain every step of the process and have the experience to make it as professional, swift and seamless as possible. Whatever your reason for remortgaging, the property lawyers at Poole Alcock will make it as simple and cost-effective as possible. Poole Alcock property solicitors will advise you on how the shared ownership scheme works. Gill is based at our Crewe office. She has almost 20 years conveyancing experience, achieving Legal Executive status in 2003. Gill recognises that moving home can be exciting but incredibly stressful. Her aim is to make the process as straightforward as possible by being approachable and available, and she is supported in this by her assistants Michelle Hall and Hilary Bateman. – Standalone repayments of Help to Buy mortgages. Kate has been with Poole Alcock since 1999, and graduated as a Fellow of the Chartered Institute of Legal Executives in 2012, becoming an Associate in 2016. She heads up our highly successful Sandbach team, supported by Lindsay Finnegan and Lindsey Jones. James has been with the firm since 2012, qualifying as a solicitor in 2015. He is based in our Nantwich office, although has acted for clients throughout England and Wales. James is supported by Monisha Khan, a trainee solicitor, and Nicola Grant. Laura is a very experienced property lawyer, having qualified in 2007. She currently assists in the management of the department, providing support and advice for any matters requiring additional technical consideration. Laura takes great pride in making thorough investigations and asking lots of questions to ensure that everything is just as the client is expecting and hoping for. Sarah is a solicitor specialising in residential conveyancing, based at our Alsager office. She began her conveyancing career in 2007, joining Poole Alcock in 2016. She is assisted by Samantha Stone and Molly White. Sarah is conscious that moving house can be one of the most stressful times in anyone’s life. Her aim is to reduce this stress as much as possible by regular contact with her clients, realistic timescales and jargon-free communication. Sarah is a solicitor in the residential conveyancing department. She first joined the firm in September 2015 and qualified as a solicitor in March 2018. She is assisted by Victoria Bowyer and Anne Woodward. Sarah completed her Law and Business Studies Degree at the University of Birmingham and later went on to complete the Legal Practice Course with distinction. Sarah has a varied caseload and enjoys assisting clients with a wide variety of conveyancing transactions. She understands that moving house can be a very stressful time and so provides clients with guidance and support from start to finish during a process which, for many, can be one of the most significant financial and legal transactions of their life. Tania is a conveyancing solicitor based at our Congleton office, having originally trained and qualified with us. She prides herself on being accessible and approachable, as she understands that moving house can be a very stressful time. She enjoys meeting her clients personally to discuss their move. Tania is assisted by Leanne Salt, a trainee licenced conveyancer, and Amelia Johnson. Victoria is a Licenced Conveyancer based at our Wilmslow office. She first joined the firm in 2004 and spent nine years with us. After a brief two-year break at another firm, she returned to Poole Alcock in 2015. Victoria believes that communication, and really understanding her clients, is the key to any conveyancing transaction. She is tenacious in making sure that each sale or purchase is pushed through as efficiently as possible, and enjoys getting to know all her clients and their estate agents. Victoria is assisted by Julia Ly and Haseena Ahmed. Emily is a solicitor in the residential conveyancing department. She first joined the firm in 2014 and qualified as a solicitor in 2019. Emily completed her Law Degree in 2014 and later went on to complete the Legal Practice Course with distinction and a Masters in Law, Business and Management. She is assisted by Victoria O’Brien, a fully qualified Licenced Conveyancer, and Thomas Chappell. Emily is based at out Nantwich office and assists clients with a wide variety of conveyancing transactions. She understands that moving house can be a very stressful time and so provides clients with guidance and support from start to finish. In 2016, Monisha had graduated with First Class Honours in Law from Liverpool John Moores University. She had then studied the LPC at the University of Law in Chester in 2017. Monisha had then joined us as a paralegal in our conveyancing department in 2017, to then secure a training contract with us in September 2018. She is currently completing her first seat in Residential Conveyancing. In her spare time, Monisha enjoys arts and crafts, and trying different restaurants.